Whether you’re striving to achieve LEED certification for a project or you’re simply interested in practicing good environmental principals, Elkay, as a responsible manufacturer, utilizes sustainable processes that may contribute towards LEED certification points. 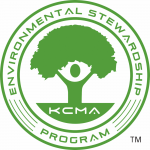 Kitchen Cabinets Manufacturers Association Environmental Stewardship Program. All Products impact the environment. For program criteria, visit the ESP website. MasterCraft is a proud mentor of the Colorado Environmental Leadership Program. MasterCraft may help your building or project achieve LEED certification by contributing towards credits in two areas. Materials and Resources and Regional Materials. 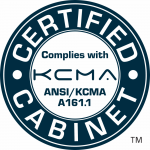 All cabinets bear the Kitchen Cabinets Manufacturers Association certification label, which confirms compliance to the American National Standrads Institutes Performance guidelines for kitchen cabinets.